Can you believe it is less than a month until Christmas? Well today I have a new card up on the Jane’s Doodles blog that will hopefully get you thinking about Christmas, if you haven’t already. 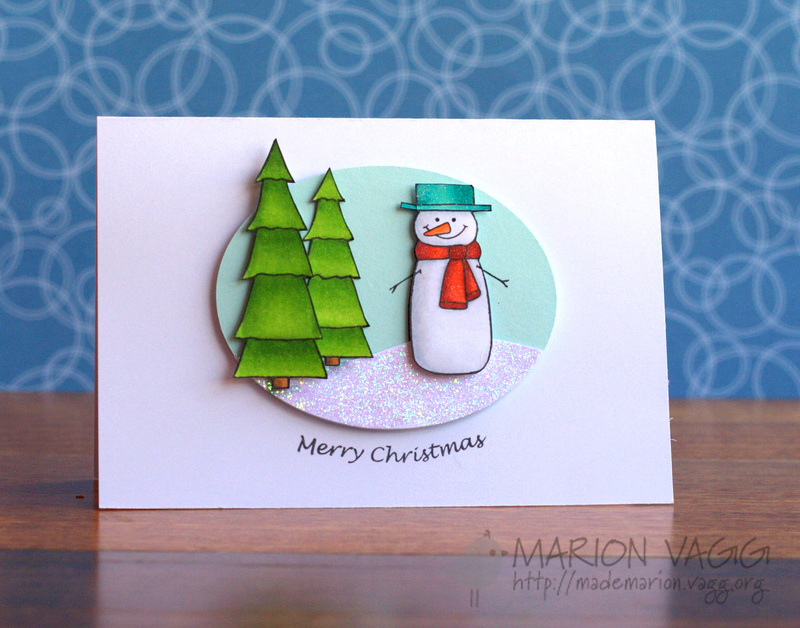 I did a little stamp modifying…the snowman does not have a hat in the set, but with a little masking (like Jane showed in a tutorial here), I gave him one. 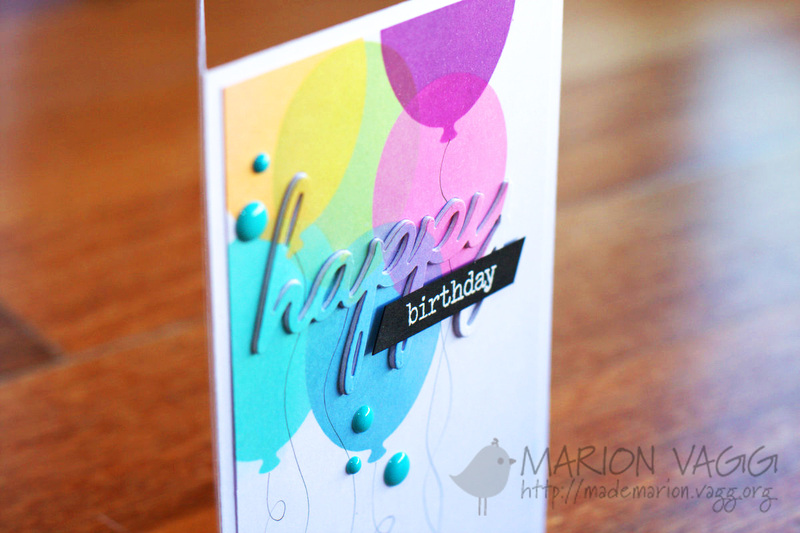 This card has lots of sparkle and glitter and was fun to make. 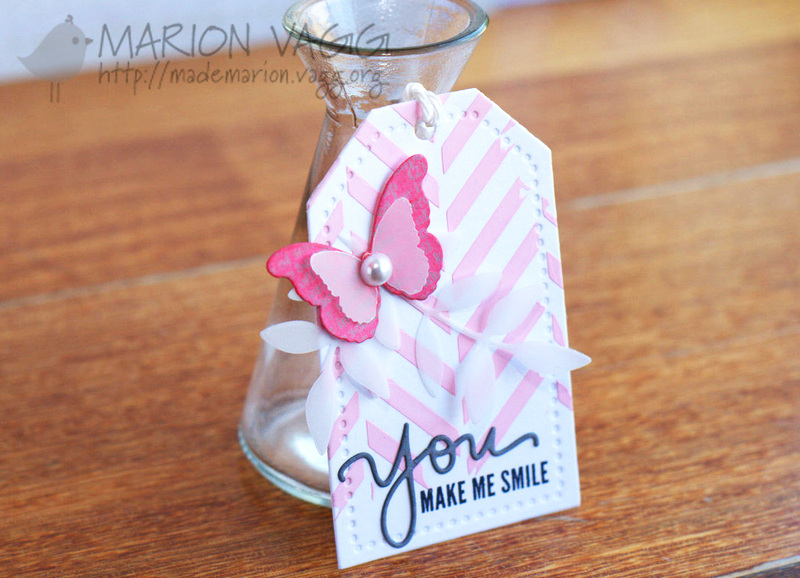 This week the Tag You’re It! 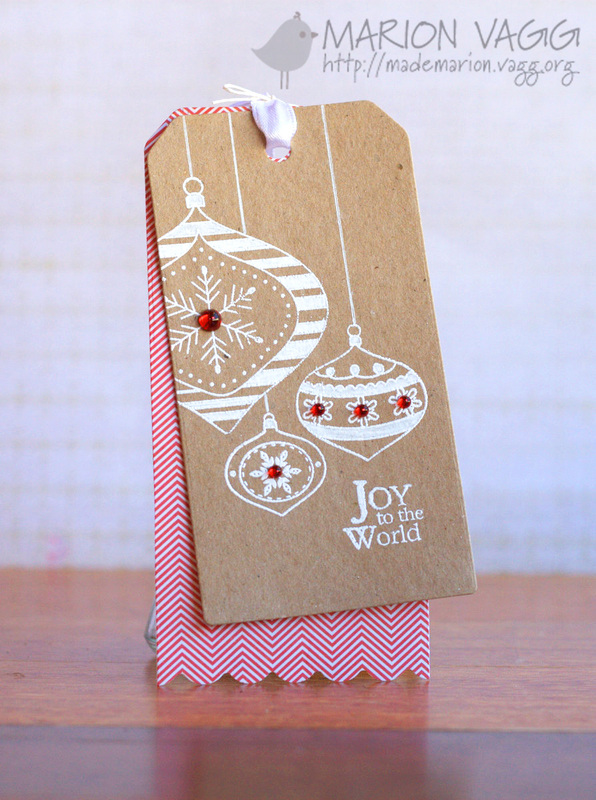 Challenge team are playing along with Tracey McNeely’s 25 Days of Christmas tags. 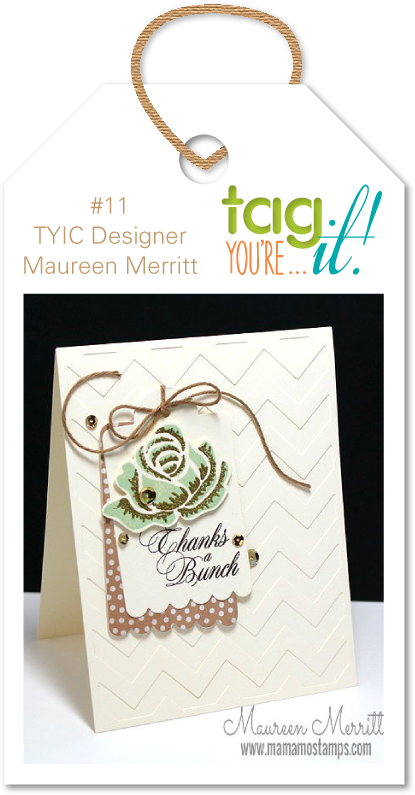 Maureen Merritt is the the designer this week for the TYI Challenge #11. 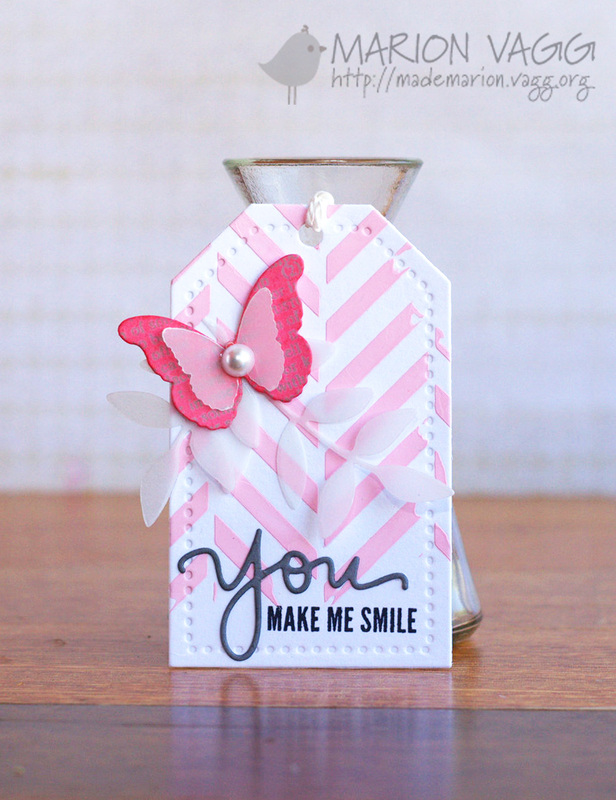 I love everything about her card, especially the chevron backdrop. For more details on the TYI challenge and the guidelines, go here. Tracey is also giving away some awesome prizes from Reverse Confetti, Clearly Besotted, CAS-ual Fridays, Neat and Tangled and Paper Smooches. If you would like a chance to win, you can leave a comment HERE on my blog post (please comment by Thursday, November 27th at 11:59pm EST). You can also go over to Tracey’s blog and leave a comment there to win as well. Stamps: Hero Arts Magic of Christmas Stamp set, Hero Arts Season’s Greetings Tree, AnnaBelle Stamps Ornamental Christmas stamp set (sentiment). 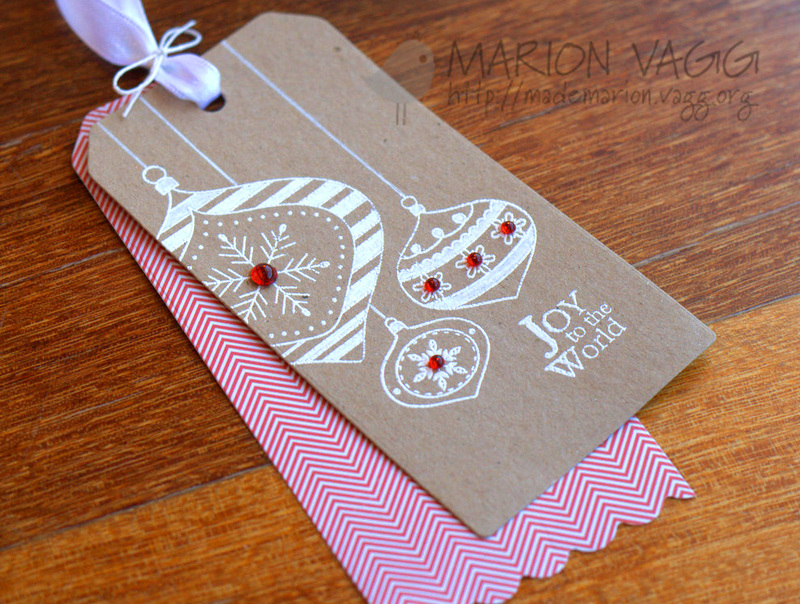 Thanks for stopping by and thanks to Tracey for letting me join in on her 25 Days of Christmas Tag fun. Hello. This week I am the Muse at the Muse Card Club. Hope that you can find some time to play along. I decided to try a technique that I have been meaning to use for ages…one that Laura Bassen and Therese Calvird use often and with awesome results. Hello. 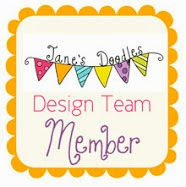 I have a new card up on the Jane’s Doodles blog today, featuring the Doodle Flowers and Doodle Flowers II stamp sets. There are so many possibilities with these sets. 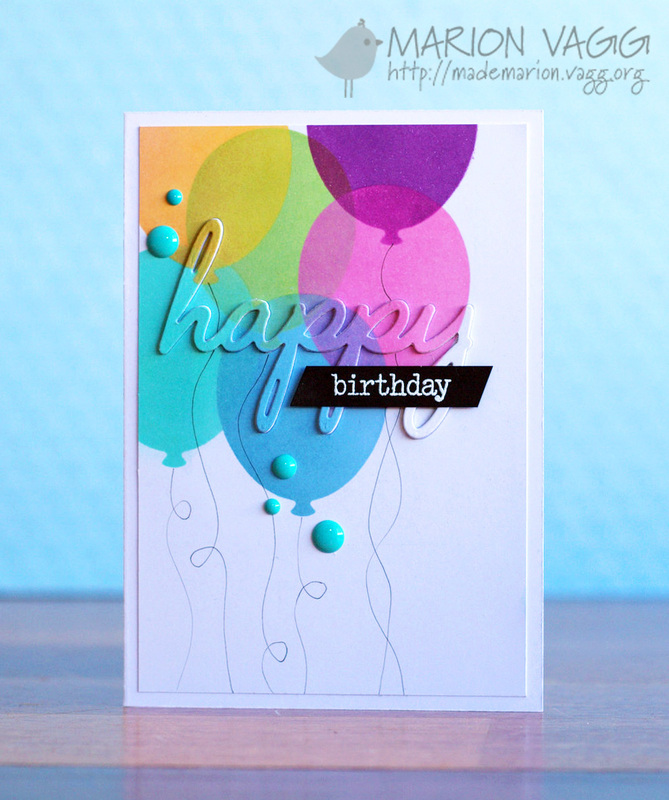 Today I have gone for a more elegant card with some simple Copic colouring. It’s time for another Tag You’re It! Challenge. We had an amazing 44 entries last challenge. You guys rock! 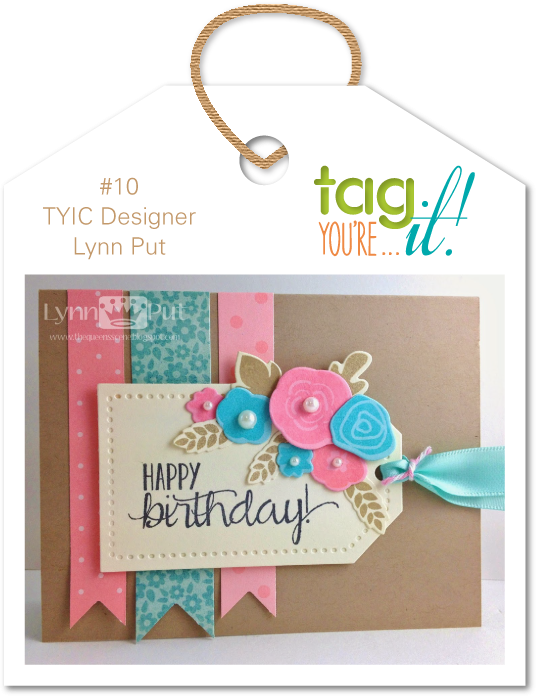 This week we have a very sweet card made by Lynn Put. 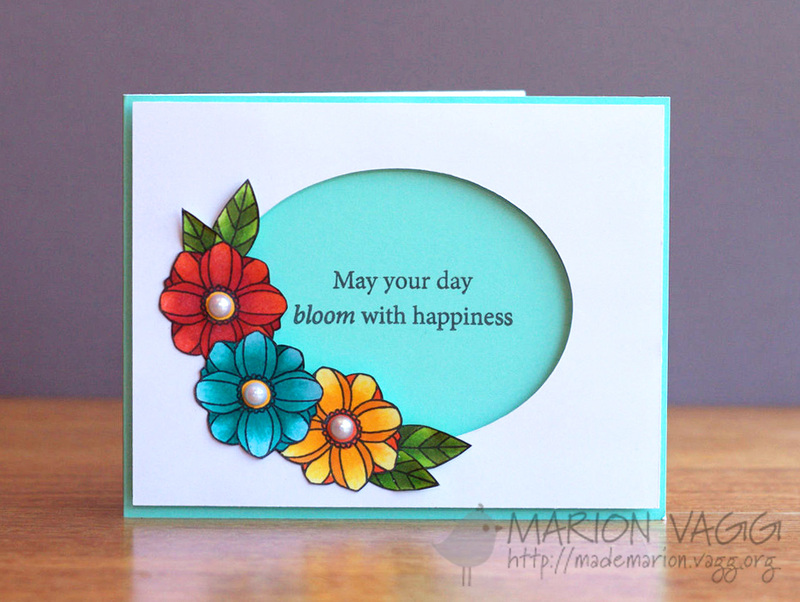 I just love that gorgeous cluster of pretty flowers! I fell in love with the softness of her colour scheme and I used her layout, just changed the placement of the sentiment. I switched up the flowers for a butterfly and some vellum leaves. The pink chevrons are embossing paste (coloured with some dye ink).